As images emerge of ISIS destroying and plundering priceless antiquities and heritage sites, an anonymous group of locals are risking their lives to document what's gone and preserve what's at risk. Videos of ISIS militants destroying priceless artifacts and world heritage sites have sparked a new level of outrage around the world. 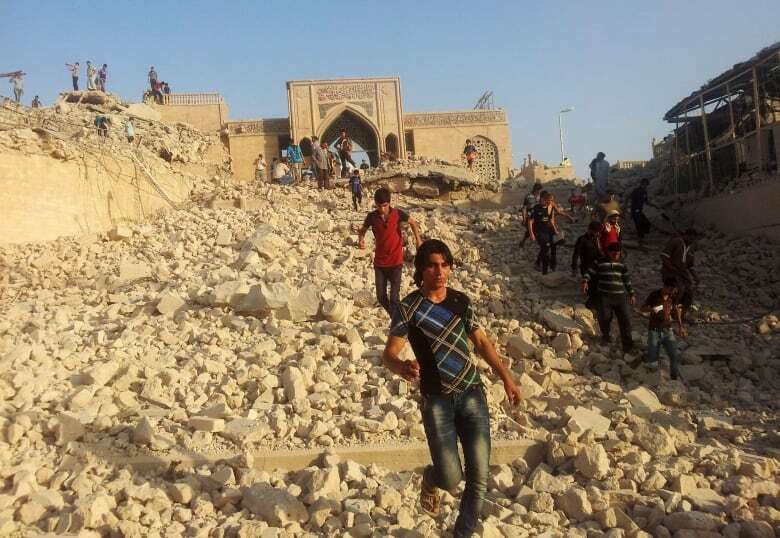 This week, Iraqi officials reported that ISIS bulldozed parts of the ancient city of Khorsabad. 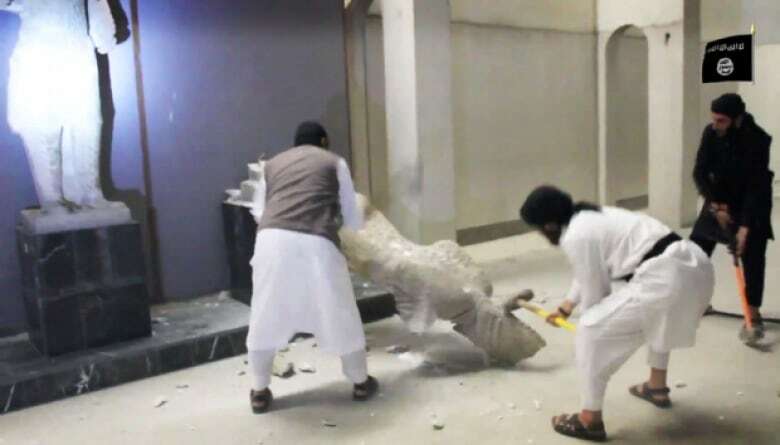 The revered sites of Nineveh, Nimrud and Hatra - all of which are either designated or nominated to be UNESCO World Heritage sites - have been attacked by the caliphate. Above, you can listen to Brent Bambury's interview with Amr Al-Azm, who is working with a group dubbed the Syria's Monuments Men. They are an anonymous group of archaeologists, curators and activists who tread into dangerous territory to document what's been lost and try to preserve sites in danger. Below is a list of some of what's been lost. 2,700 year-old-city in northeastern Iraq, known for its colossal statues of winged bulls with human heads. 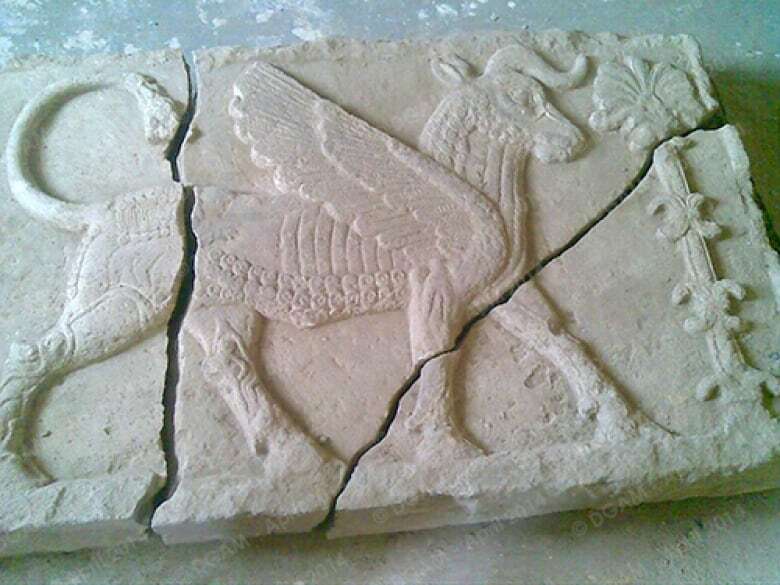 Known damage: Iraqi antiquities director Qais Rasheed told Reuters: "The city walls were razed, and some elements of the temples, but we don't know the exact extent (of the damage). 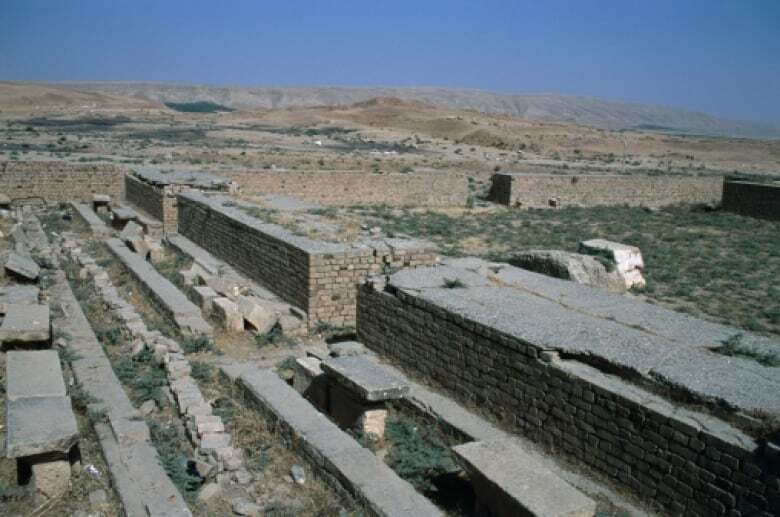 Looting took place, and then the razing,"
Why it matters: Assyrian King Sargon II built his palace here between 717 and 706 BC. Paint was still preserved, as was written documentation about how its construction was organized. Some of the carvings of the winged bulls were shipped to Europe and the US in the 19th century, but experts say they were only a fraction of the artifacts at the site. Originally from the ArslanTash archaeological site near Aleppo in Syria, they'd been moved to Raqqa city centre in the 1980s. Why they matter: The statues date to the 8th century and were seated at the entrance gate of Arslan Tash, which was conquered by the Assyrians in 9th century BC and had been part of an Iron Age kingdom. Standing at the Nergal Gate at Ninevah for nearly 3,000 years, near Mosul, Iraq. 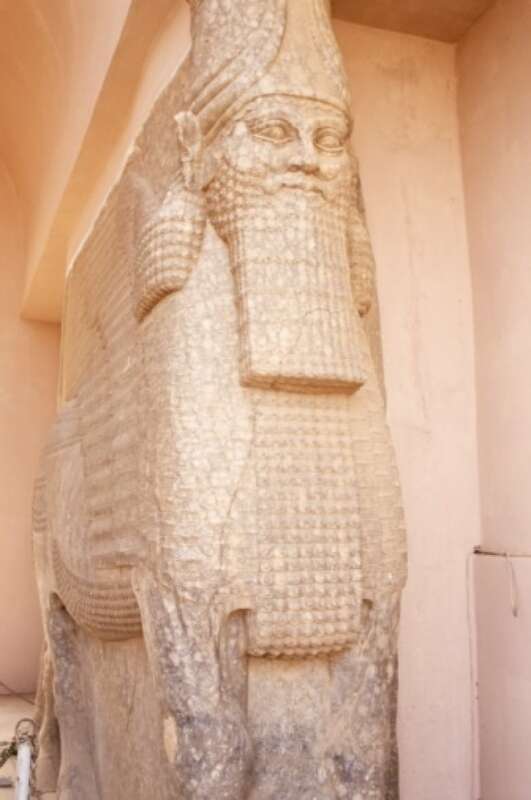 Why they matter: Also known as "lamassu", the winged bulls date to the early 7th century BC and guarded a principal gateway to the ancient Assyrian capital of Nineveh. Other winged bull statues still exist, but it was rare that they'd remain in-situ (as opposed to being relocated to museums) as these did at the Nergal Gate. According to UNESCO, Nineveh "was one of the most important cultural centres in the ancient world enjoying a prominent role in the field of developing human civilization, in that it was the greatest metropolis where various branches of arts and learning originated." Located in Mosul, Iraq, near the walls of Nineveh. Why it matters: Believed to be the burial place of the prophet Jonah, who was swallowed by a whale in stories from both the Bible and the Koran. It was built on an archaeological site dating back to 8th century BC and attracted religious pilgrims from multiple faiths around the world. Located in the Aleppo countryside in Syria. Why they matter: Sufi shrines are the tombs of Sufi saints. Shrines on the eastern Aleppo plateau have been destroyed, including the tomb of Meqam Shiekh Aqil al Manbaj, an important Muslim mystic. 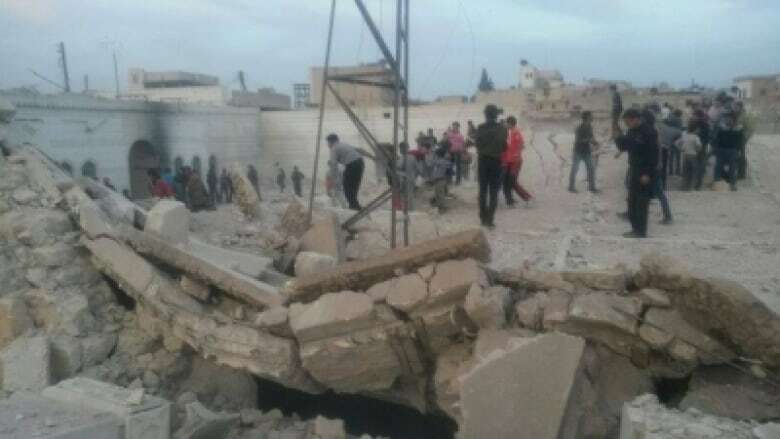 Tombs along the road to Najim Castle as well as in front of the castle have been destroyed and those part of archaeological Tells north of Aleppo have been bombed. The ruins of an ancient city located on the Tigris River just south of Mosul in Iraq. 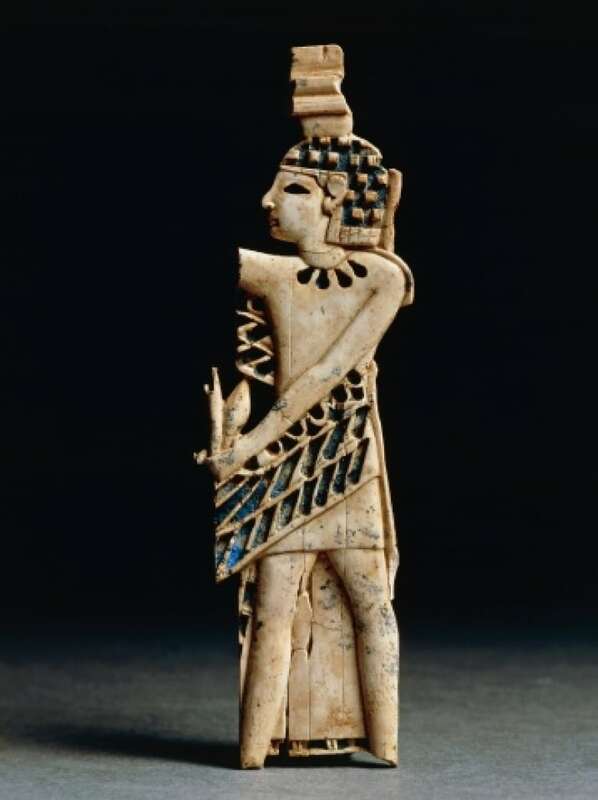 Why it matters: Nimrud was founded in 13th century BC and was the capital of the neo-Assyrian empire. The site contains the palace of Ashurnasirpal, the king of Assyria, and large numbers of relics and statues still remained in their original locations. UNESCO condemned the attack as a "war crime." Iraq's second-largest museum, located in Mosul, Iraq. 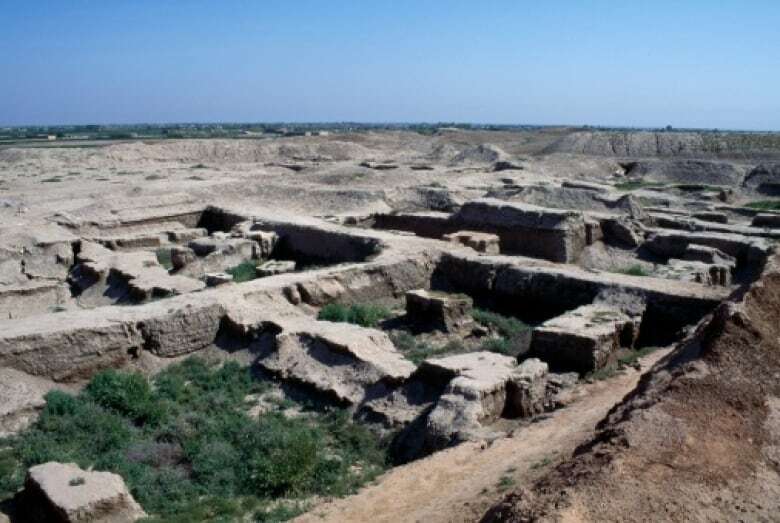 2,300-year-old city south of Mosul, Iraq. 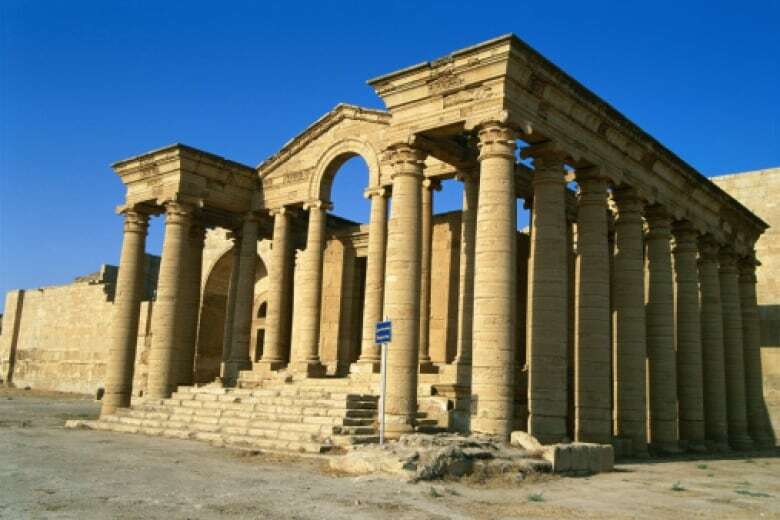 Why it matters: Hatra is a UNESCO World Heritage site. It consists of a well-preserved complex of temples that blend Hellenistic and Roman architecture with Eastern decorative features. Thanks to its high walls and towers, the city withstood invasions by the Romans in AD 116 and 198. Why it matters: Remains date back to 3000 BC. Large numbers of paintings and artifacts were discovered when archaeological digs began in the 1930s. But the site's greatest treasures are thought to be the thousands of clay tablets that describe the civilization's legal system, economy and diplomacy. 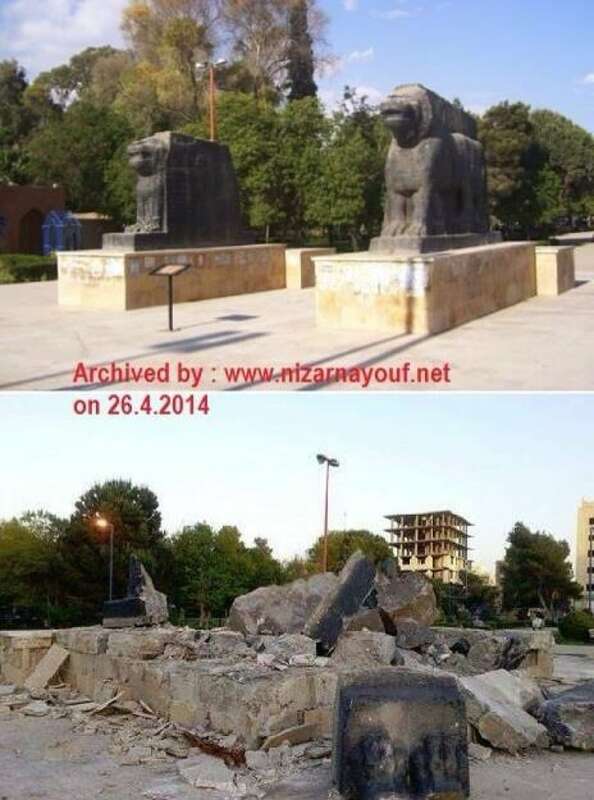 Why it matters: The sites contained large Assyrian statues and relics believed to be 3000 years old.